Opened in 1865 as the Civil War Orphans’ Home, this school complex was originally built as a boarding school for children of Civil War veterans. Children of veterans from other wars were later admitted, and eventually it was opened up to all orphans. 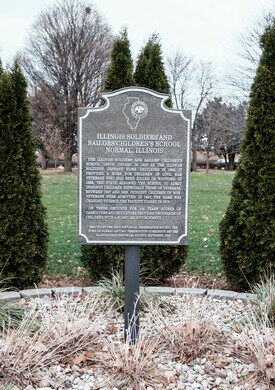 From 1916 until the 1960s, Illinois State Normal University (now Illinois State University) ran the education programs in the school. The institution was a point of pride for the town, to show how it helped the needy. Apart from the school, the complex included an electric plant, cottages to house the children, and administrative buildings. Since the closure of ISSCS in 1979, a few of the buildings have been demolished, while others have been renovated into businesses or homes and renamed “Normandy Village.” A large section of the land has been turned into One Normal Plaza Park, which houses a community activity center, a play area, and sports fields. 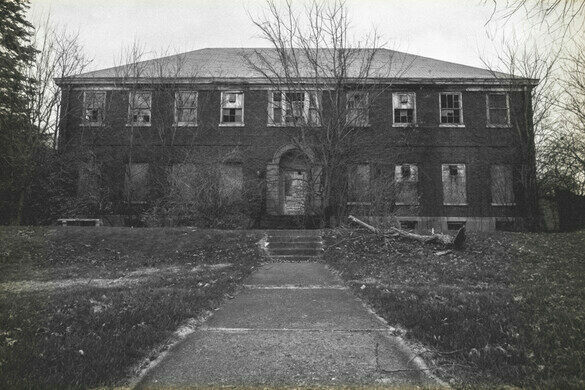 However, the prominent school building still stands on Beech Street, abandoned. Broken windows and the utter darkness at night lend a special eerie feel to the old architecture. It’s not legal to go in and poke around the building at night, but many adventurous spirits try. There are groundskeepers who live in some of the outer buildings just behind the school, and there have been reports of aggressive dogs kept as guards. 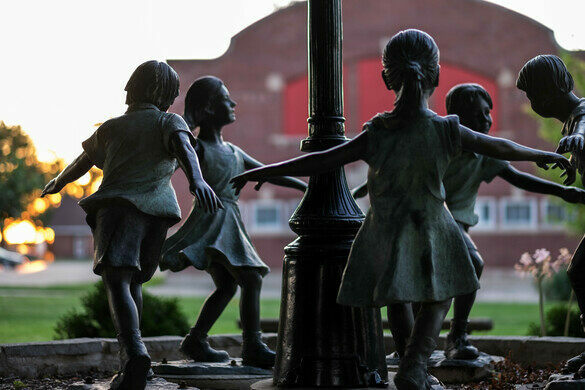 Of course, with such a creepy façade, rumors have swirled that the area is haunted by the ghosts of children who died at the school. 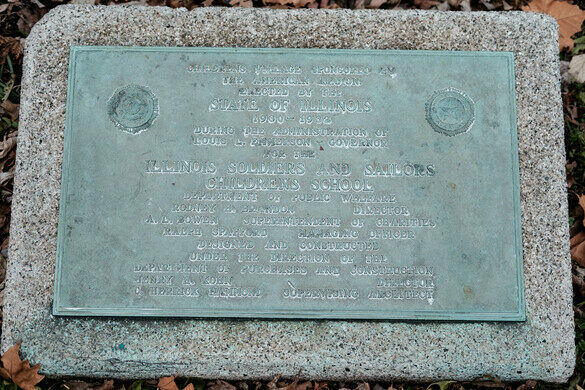 Such rumors were likely fueled by the fact that the grounds used to host a small cemetery for any children who died at the school until it was moved to a plot in a cemetery in Bloomington in the 1940s. Recently, there have been some reports of homeless people living inside. Update July, 2o17: Demolition on the building has begun.